Allsec is a global company with vast expertise in providing business process solutions across various industry verticals. Our solutions are testimony to the fact that we are a highly customer-centric, flexible and transparent service provider. 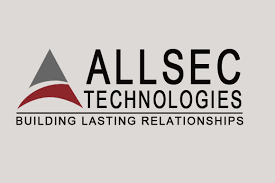 Allsec believes in enhancing our client’s business experience by taking process responsibility, improving cost efficiencies, and adding value through continuous process improvements and quality assurances.Allsec’s brand is built around a core of expertise, meritocracy and continuous improvement. The spirit of enhancement among our people and an organizational commitment to continuous personal and professional development keeps us at the forefront in this fast-changing and demanding industry. Allsec’s well-structured recruitment process attracts a large number of talented people from the resource pool available in India, US and the Philippines. Being recognized as an Employer of Choice in this industry, it reinforces our resolve to attract, retain and nurture talent of our Human Capital through our employee-centric work culture. We manage motivation and retention through a highly structured career path, cross-functional opportunities and performance-oriented incentives.